Delivering relief supplies for the Philippines. I’ve shipped many a typewriter in my day and have always grimaced at the shipping cost. So when I dropped off two large, and very heavy, boxes at LBC Express containing relief supplies for the Philippines, I was quite struck that the company would be shipping those boxes for free. Several members of my church collected items for people hit hard by Typhoon Haiyan, and I had the task — the privilege — of delivering those items to LBC Express. 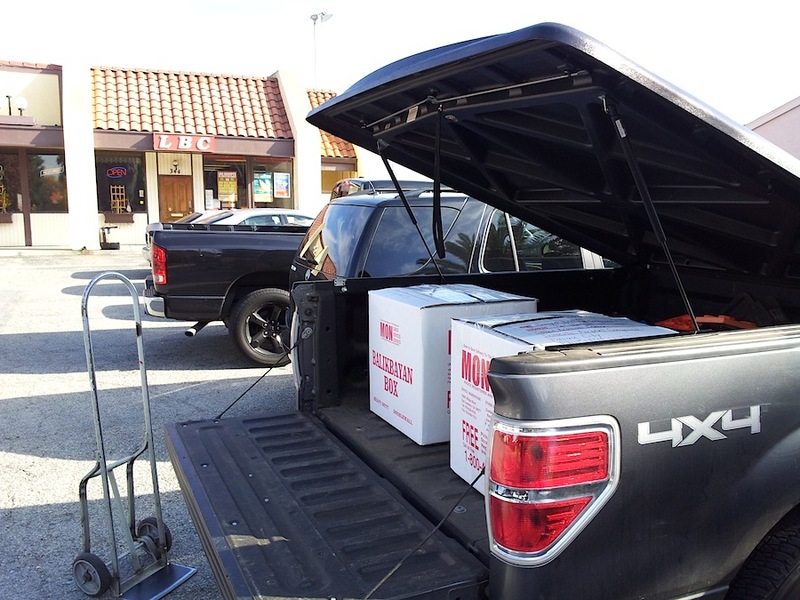 I attempted a delivery at their East San Jose location, but donations were stacked so high, there was no more room. The next day, I drove to their Milpitas office, where I was able to complete my mission. Yet again, donations were stacked from floor to ceiling! So, on this Thanksgiving morning, I am thankful for the giving spirit of so many. Special thanks to LBC Express for shipping all of those packages! As someone who is originally from the Philippines, I’d like to thank you for the help you sent. God bless. That’s amazing! How many companies would actually offer shipping that many donated boxes for free? I can’t imagine. Certainly something to be thankful for.